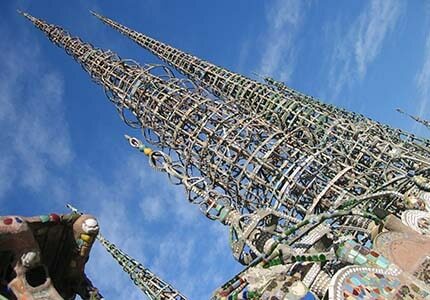 Los Angeles Vacation Guide: Day 2 Use GAYOT's vacation guide to plan your next getaway to Los Angeles. Los Angeles Vacation Guide: Day 3 Explore Hollywood & Highland, the Sunset Strip, downtown and more. 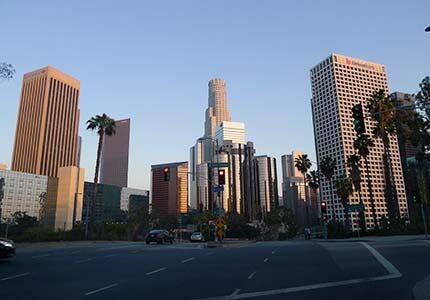 Los Angeles Vacation Guide: Hotels Find the best lodging and book hotel rooms in the Los Angeles area. 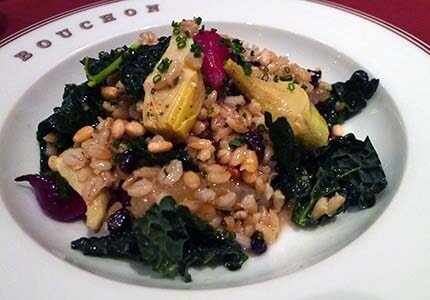 Los Angeles Vacation Guide: Restaurants Get GAYOT's opinion on the best restaurants, cafes and bars in L.A.
Los Angeles Vacation Guide: Attractions Discover the best museums, attractions and shopping that L.A. has to offer. Frequently misunderstood, often underrated and perennially envied, Los Angeles is a massive, complex metropolis that can hardly be absorbed in a mere 72 hours. Most people think they know the city, whose lifestyle has been romanticized on television and in the movies, but there are many versions of L.A. that escape the attention of popular culture. Take a few days to discover the other faces of the City of Angels! L.A., whose cultural diversity is part of its identity, celebrates its many cultures through art, food and music, and its neighborhoods are unusually welcoming. Unlike many big cities, where neighborhoods are often strictly defined by ethnicity, the borders of L.A.'s ethnic communities are delightfully blurred. Angelenos appreciate the rich and colorful detours created by their immigrant neighbors, and the city's artists, musicians and chefs draw inspiration from them. Because L.A. is painfully spread out, be sure to map out your trip carefully. When you arrive — whether it be at Los Angeles International Airport (LAX) or one of the smaller (and highly recommended) regional airports such as Burbank's Bob Hope Airport or Long Beach Airport — it is absolutely essential to have a rental car waiting. L.A. has come a long way in terms of mass transit — there is now a burgeoning subway system and an extensive network of light rail commuter trains, as well as bus service — but you'll need a car to most efficiently explore the sprawling metropolis. Click here to get a feel of the Greater Los Angeles Area. In terms of lodging, there are so many desirable neighborhoods from which to choose, your personal tastes and budget will have to dictate. If you'd like to be near the ocean and don't mind paying premium rates, we recommend Shutters on the Beach or its Andalusian-inspired neighbor, the Hotel Casa del Mar. Both are right on the beach in Santa Monica and both pricey. Nearby and a bit more moderately priced is the hip, eco-friendly Shore Hotel. If you opt for the Beverly Hills area, we suggest the posh Beverly Wilshire, Beverly Hills (A Four Seasons Hotel), which was featured in "Pretty Woman" and has been one of the city's premier destinations for decades. Its location just off Rodeo Drive is a plus, along with its in-house dining spots that include Wolfgang Puck's CUT. If you value trendiness over tradition, consider the SLS Hotel at Beverly Hills, with a funky interior by Philippe Starck. 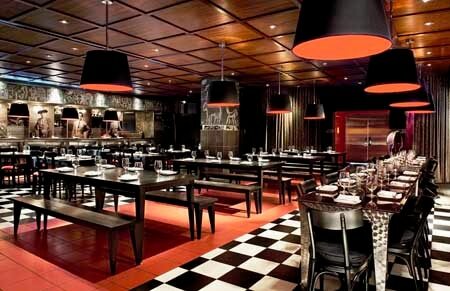 Its restaurant, The Bazaar by José Andrés, has emerged as one of the most innovative and exciting in town. For more moderate budgets, consider downtown L.A., whose exciting renaissance continues to gain momentum. More staid types will enjoy the distinguished Millennium Biltmore Hotel, a masterfully restored landmark, while hipsters on a budget will appreciate The Standard (its rooftop bar is a perennially hot scene). The Ace Hotel, part of a trendy chain, has arrived downtown, just above Broadway's United Artists Theatre. Even ritzy Beverly Hills offers moderate prices in the lovely boutique hotel, Maison 140, and the mid-century modern Avalon Hotel with its poolside Viviane restaurant. Hollywood, which used to be ignored as a place to stay, has now come into its own, and recommendable hotels include the spectacular W Hollywood Hotel & Residences or equally hip but more intimate The Redbury, both located near the legendary intersection of Hollywood & Vine. For travelers, these make strategic choices since the Metro Red Line train runs directly through the W. Wherever you stay, get a good night's sleep and be ready for an early start the next day. 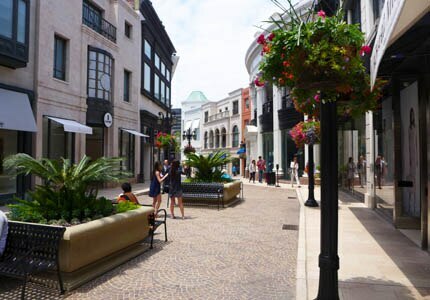 First stop is downtown Beverly Hills and its glamorous boutiques centered around famous Rodeo Drive. Early morning is a great time to do some low-stress window-shopping at celebrated establishments like Versace, Prada and Cartier. After a quick tour, you'll be on your way to the spectacular Richard Meier-designed Getty Center, perched on a Brentwood hilltop overlooking the San Diego Freeway. Here, in addition to one of the most expansive and thoroughly eclectic collections of art in the world, you'll find some incredible views of the city. If you'd like to stay for lunch, the museum offers both an informal café and the more elaborate The Restaurant at the Getty Center, a sleek venue featuring outstanding contemporary American cuisine with spectacular views in almost every direction. In the alternative, you can grab lunch at your next destination, the iconic Venice Beach. Nobody should visit L.A. without checking out this unique stretch of sand, where artists and musicians line the boardwalk as bikini-clad babes skate by. Stop to watch and mingle with all the local characters and crazies — sand sculptors, over-the-top street performers, weightlifters on Muscle Beach — and enjoy a tequila-chicken sausage at the original Jody Maroni's Sausage Kingdom, a Venice institution located right on the boardwalk, or hang on the patio at Larry's, an indoor-outdoor gastropub that serves great food and pays homage to Venice's vibrant community of artists. For more sophisticated cuisine, head over to the stylish, Pacific Rim-inspired Chaya Venice, where you can score anything from sushi to lobster enchiladas to a rib-eye with peppercorn sauce. 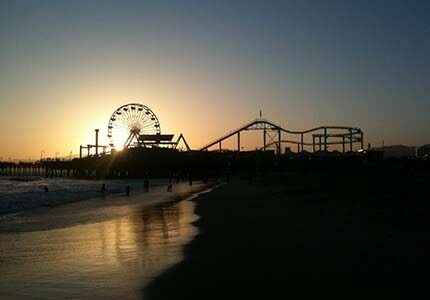 In neighboring Santa Monica, you can ride the Ferris wheel at Pacific Park, built on the Santa Monica Pier, or round out the afternoon wandering the Third Street Promenade, a pedestrian mall which has become a prime place to shop, take in a movie, snack or just hang out. Some establishments of note include Puzzle Zoo, a truly unique toy store. 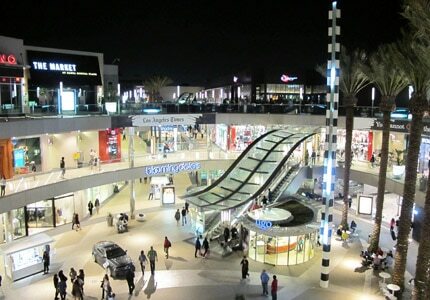 The Promenade is now integrated with the newly renovated Santa Monica Place shopping center that features an expansive plaza filled with public art. Shops include trendy boutiques like Kitson and Tory Burch, as well as stalwarts Tiffany & Co. and Louis Vuitton. For dinner, catch a signature sunset at the beach. Nearby Santa Monica restaurants include high-end Mélisse where surfing chef-owner, Josiah Citrin's menu emphasizes traditional French cuisine with Cal-Italian twists. For a lively, more casual dining experience, head over to The Lobster at the foot of Santa Monica Pier, where you can find plump crab cakes, big-eye tuna and lobster in all forms while enjoying the ocean view. More seafood — complete with a well-stocked raw bar and market-style fresh fish display — awaits at the Water Grill, a new branch of a downtown institution. You might also want to head north to check out the views from glamorous Malibu. There, you can eat at Geoffrey's, where the entire dining "room" is stationed on a garden-like terrace. Malibu also offers the incredible sushi (and other inventive, intricate Japanese dishes) of renowned chef Nobu Matsuhisa at his beachfront Nobu Malibu, whose spectacular ocean vistas are sure to linger in your head long after you return to your hotel for bed.